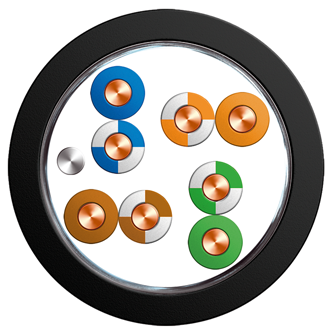 SureLAN® Solid Conductor F/UTP Duct Grade Category 5e | Belcom Cables Ltd.
High speed data transmission functionality designed typically for use in horizontal cable installation of local computer networks. IEEE 802.3, IEE 802.5, FDDI, ATM, RNIS. This cable operates to the protocol supported by Class D as set out in ISO/IEC 11801 although they can transmit at frequencies of up to 200MHz..